With the summer approaching however slowly this year I find myself doing allot more outside work. Preparing the gardens, raking leaves, sweeping, pulling weeds, cleaning windows and more. Most people I know welcome summer with open arms especially after just going through a long cold winter. It is great to see the trees and flowers blooming, hear the birds singing and feel the warmth of the sun on my skin. With all the good things that summer brings I’m also reminding of some of the bad things that come as well. To me its not so much the heat of the humidity that will be coming it is the bugs that will be coming out. The spiders, ants, wasps, hornets, roaches, and worse of all the mosquitoes. Those pesky little bugs that can be pretty aggressive are a big nuisance. They make going outside in the evening hours unbearable at times. If you want to do anything in the evening you have to spray yourself with chemicals, light candles, and turns on a bug light. You can also spray your yard with chemicals but who knows what kind of damage that can do to the environment let alone your family. 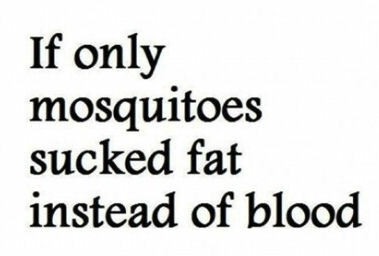 With this in mind I have been doing some research regarding more eco-friendly ways to repel mosquitoes and other pesky outdoor creatures. One idea came to mind and that was to find out if there were any plants that mosquitoes don’t like. 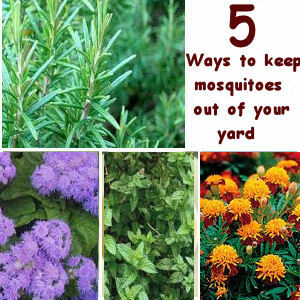 You just like there are some plants that deer and other animals will stay away from there must be plants that repel mosquitoes. So I went to work searching the Internet for some ideas and here is what I came up with. Through all of my research 5 plants kept getting mentioned. I knew about some of them in regards to their bug repelling properties but some of them surprised me. I will list them below in no particular order. Most people are familiar with these flowers. They are commonly used around borders and are usually orange, yellow, orange-red and others. Marigolds contain a chemical called pyrethrum, which is usually found in insect repellents. They like to be planted in areas that receive full to partial sun. They are great to be used around your gardens and in pots around your yard. I especially like to use them around my vegetable garden since they are also good at repelling other harmful insects besides mosquitoes. You can place potted marigolds near entranceways and by windows. 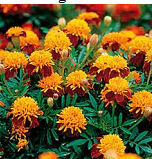 To insure generous blooms you should deadhead your marigolds often. This means you pluck off dead flowers as you see them. I would suggest wearing rubber gloves when you do this since the flowers do emit a pungent odor that is difficult to wash off. But then again if you don’t mind the odor I’m sure it will keep mosquitoes away from you as well. Mint plants whether they are horsemint, peppermint, spearmint or many other varieties of mint have been used for centuries both medicinally and in cooking. 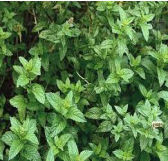 Mint can also be used to repel mosquitoes in your garden. There are several natural/organic mosquito repellants on the market today that contain peppermint oil as their main ingredient. I have also heard of native peoples rubbing mint leaves on their legs and arms before going out into the woods in the evenings. Mint is a great plant to have around the kitchen as well since it can be used to freshen up iced teas and other drinks during the summer. I would recommend planting mint in hanging pots or large stationary pots as opposed to planting them in the ground. Mint can be highly invasive and in a year or two can easily take over your garden. I speak from experience. I had planted mint in my backyard garden several years ago. After seeing it take over a large portion of the garden I decided to pull it up. It has been more than a year and I am still finding little shoots sprouting up here in there in my garden. Now most of you that have spent some time in the kitchen or in a restaurant have probably heard of this herb. 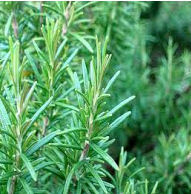 Rosemary is a wonderful herb that can be used for seasoning as well as repelling mosquitoes. Rosemary is native to the Mediterranean so it likes hot, dry weather and well-drained soil. That is not to say that it won’t do well in your garden. I live in the northeast and have successfully grown rosemary in my garden for years. I do suggest you plant it in a portable pot that can be moved indoors during the winter. Rosemary doesn’t really like the cold weather and can die off or experience mold rot. My great Grandmother used to make her own mosquito repellant out of rosemary oil and olive oil. She would add about 5 drops of rosemary oil to a small dropper bottle filled with olive oil. She would then place a few drops on her wrists, ankles, and neck and rub the oil into her skin. I never once heard her complain about getting bit by mosquitoes. And wouldn’t you rather put something natural on your skin rather than harmful bug spray? Citronella is most likely well known to everyone but not in terms of plants. I for one am more familiar with citronella candles, lamps, and oil for repelling bugs and mosquitoes. I recall many a barbecue when my mother would yell out, “Did someone light the citronella candle?” This was the one plant that I was not aware of before doing my research. 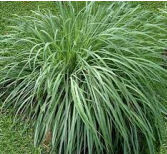 Citronella is a perennial clumping grass, which can grow up, to 6 feet high. Citronella plants can grow pretty well during the summer and should be planted in full sun. You may need to trim it down several times to prevent it from growing too big. A good place for these would be next to fences or in the back of your garden so they don’t obstruct your smaller flowers. If you live in a northern climate you may want to grow them in a large pot. That way in the winter you can bring them indoors. This last plant on my list is one of my favorites because of its colorful flowers. 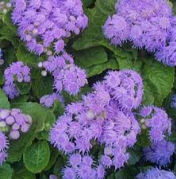 Ageratum also known as Floss flowers emits a smell which mosquitoes find offensive. They also secrete coumarin, which is widely used in commercial mosquito repellents. The plant is low lying and has some really nice colorful blooms in a variety of colors. It is easy to care for and will do well in full or partial sun. It also does not require a rich soil. They look great in a rock garden since they are low lying. Finally in my research I did find other plants that repel mosquitoes. One was catnip. I did not include this plant in my recommendations since cats are attracted to catnip. I just envisioned my yard turning into one big cat hang out if I planted catnip. Another suggestion that I found was a plant called lemongrass. I didn’t include it since it may be more difficult to find than the others mentioned. I personally planted a bunch of marigolds in our garden and hung a pot with a mint plant side. We also have a rosemary plant in our garden. I will let everyone know how well these plants do this summer when the mosquitoes are out in full force. I look forward to hearing any of your stories and suggestions as well. I need to put some plants in front of the house. Yo just helped me decide which to plant. Thank you! Do you happen to know if any of these are poisonous to humans? I have little ones and plants can end up in the mouth. Ugh!